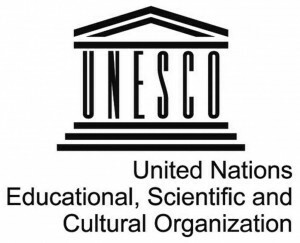 The Convention for the Safeguarding of Intangible Cultural Heritage was passed by the UNESCO General Conference held in 2003. At that time, the international community recognised the need to raise awareness about cultural manifestations and expressions that until then had no legal or programmatic framework to protect them. Preface: The Convention for the Safeguarding of the Intangible Cultural Heritage (2003) was a UNESCO treaty adopted by the UNESCO General Conference on 17 October 2003. 3. “Safeguarding” means measures aimed at ensuring the viability of the intangible cultural heritage, including the identification, documentation, research, preservation, protection, promotion, enhancement, transmission, particularly through formal and nonformal education, as well as the revitalization of the various aspects of such heritage. 4. “States Parties” means States which are bound by this Convention and among which this Convention is in force. 5. This Convention applies mutatis mutandis to the territories referred to in Article 33 which become Parties to this Convention in accordance with the conditions set out in that Article. To that extent the expression “States Parties” also refers to such territories. The General Conference of UNESCO (32nd Session), Paris, 29 Sep-17 Oct. 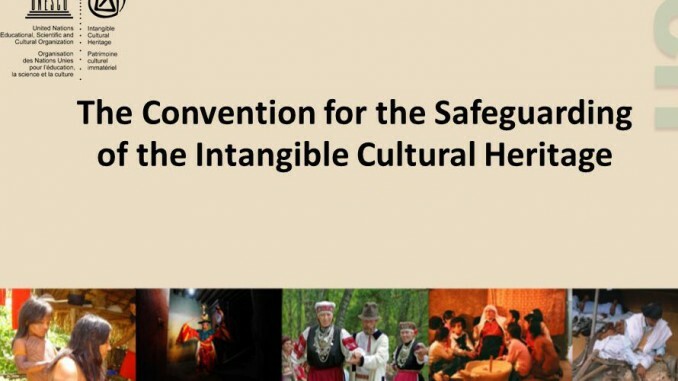 The Convention, building on the 1989 Recommendation on the Safeguarding of Traditional Culture and Folklore, establishes the necessary measures that States should take in the safeguarding of Intangible Cultural Heritage (ICH). It defines the nature and forms of ICH-oral traditions, expressions, language, performing arts, social practices, rituals, festive events, traditional craftsmanship, and knowledge and practices concerning nature and the universe-and recommends ways to preserve them. Noting the threat that globalization and social transformation pose to ICH, safeguarding measures include: identification and documentation of traditions; research; preservation, protection, and promotion; transmission, particularly through formal and non-formal education; and revitalization of the various aspects of such heritage. It creates the Intergovernmental Committee for the Safeguarding of the Intangible Cultural Heritage and establishes a fund for financial assistance.